There is always an element of danger associated with travel. That’s why we do it. Whether it’s the rush of adrenaline from hiking foreign terrain, the thrill of adapting to a different culture, or the induced nausea from testing your palate, we seek adventure when we go abroad. We want to push our limits of comfort in order to have new experiences and, hopefully, gain greater insight into life. However, we are not invincible. Although our adventures allow us to lose a level of fear, we realize that life can be fleeting. I have been one of the fortunate many who has found themselves lost in the woods in the Andean forest. I know some who have explored countries by bus, only to lose their invaluable luxuries. I have met travelers who have been stranded for hours in the middle of nowhere for days. For most, they say that the experience was enlightening and provided deeper insight to a forlorn culture. Blessed are we. The dangers of travel were brought to popular light in 2006 with Jon Krakauer’s “Into The Wild.” The subject of the book, Chris McCandless, hitchhikes to Alaska in search of life’s deeper meaning. For most, the end is tragic not only because he was so young, but because his death was so close to his planned return home. His end shakes you by the shoulders and puts life into perspective. That was the emotion I felt when reading World Hum’s tribute to six travel writers (one of which was an artist) who “never made it home.” What struck a heart string was not the way each one lost his or her life — personally, I feel as though we never know “how” we are going to go — but how their ages ranged from 22 to 48. For humans, it seems unnatural to not live into our old age, to reach our 80-somethings and watch the world unfold. I guess that is a detail that most perpetual travelers come face to face with. I guess we never know “when” either. Yet, what was most inspiring was how their lives impacted the world even after death. Being travel writers or loggers, their works live on. 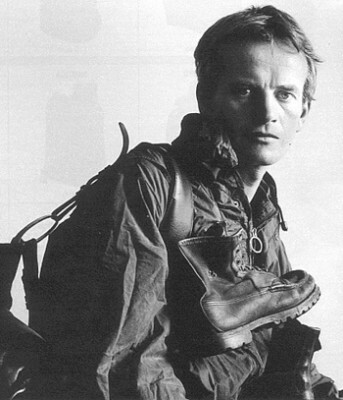 Whether it is Bruce Chatwin’s “In Patagonia” — one of the many possible places that he contracted HIV — or Craig Arnold’s volcano pilgrimage blog, we are able to take part in their lives once lived. I can’t help but think that this is truly a noble purpose. Reading about their adventures has provided insight and reason to why we continue to travel. Through their lives, we can be inspired — not hindered or weary — to keep doing what we are doing: discovering.